Anything on Time Management, Organisation.... Filofax related if possible. Do you have any links to productivity stuff you have found useful, a You Tube video on organising your desk, links to makers of complimentary products and so on. 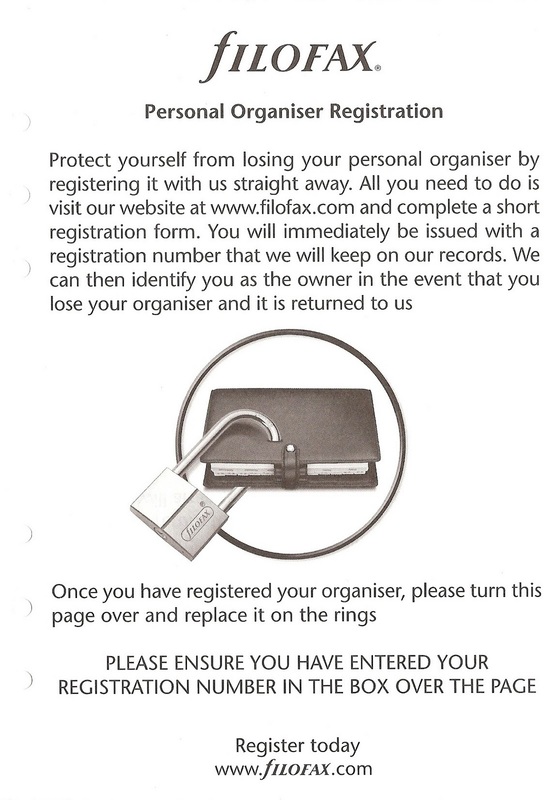 I thought, after all our Filofax Organisers are only one of our tools to help us with our day to day organisation. So how does your Filofax link in to these themes and do you have any links to more specific Time Management/Organisation sites. Add any links or tips in to the comments. We might run this as a regular feature depending on the reaction to this first post. Thank you Alison for your suggestion. At the suggestion of Katka I have created a new group on Flickr to create a catalogue of every Filofax organiser ever made. Now it will need as many people as possible to contribute photos to this group to make it work. So please take a look at the group on Flickr and contribute any photos you have along with model names and approximate year that the Filofax was for sale. Interior shots would be useful to help people identify unknown Filofax organisers. 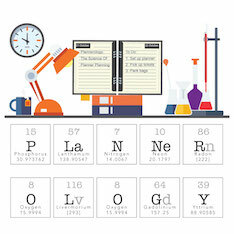 Reader Question - Emergency Filofax? I know some people that keep detailed medical records and diet information in their Filofax, but what do you record for emergencies in your Filofax? 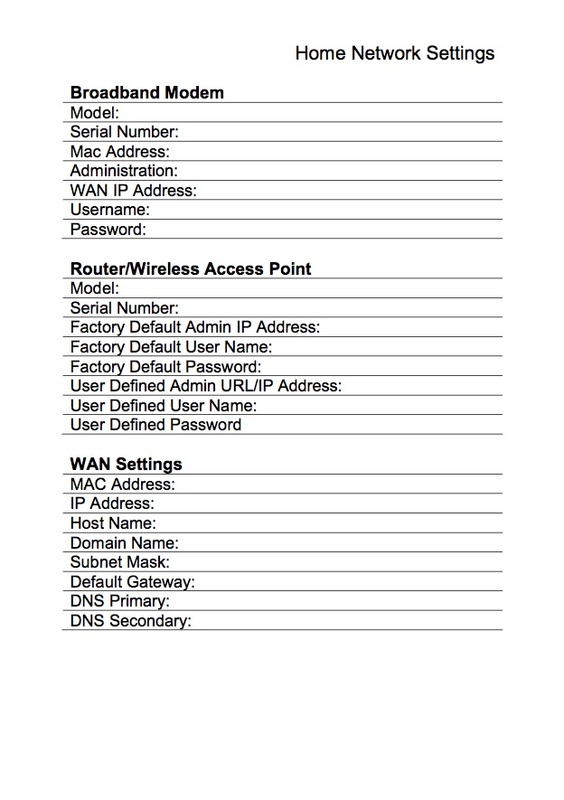 I have a follow up question to this, what forms would you find useful for recording this information? When? - Sunday 4th December from 10am (US East Coast time), 3pm London time, 4 pm Paris time 9pm Jakarta etc. See the clocks at the top of this post to see roughly what time you should be on line. Hope to be chatting with you on Sunday 4th December. Anyway, take a look at what is on offer, and don't hang about if there really is something you want to buy. Hurry, sale ends 4pm, Thursday 1st December 2011. Go on, ignore that you should really be doing something else, grab a tea or a coffee and sit and enjoy some great web finds this week. But keep an eye on the time I don't want to get the blame for you missing an important appointment, in fact you should schedule some time each week for web finds! So today I will start my journey back to France, we are travelling over night tonight. But as usual my Filofax will never be far from me for jotting down notes and ideas. Sometimes my notes are a little too short and cryptic and I look at them the following day and think, what does that mean...!!! Do you ever sit reading the posts on Philofaxy or posts we have linked to and think, I wish they would write about x or y? We would love to hear from you with some ideas for future posts even if it is something we have covered before but you would like us to go over a particular topic again and may be explore it from a different angle or to update a previous topic. Or if you would like to write a guest post and have it featured on Philofaxy, whether you have a blog of your own or not, we would welcome your contribution and it would be great to see your ideas on the blog. In case you haven't noticed... Filofax USA have a 25% off sale on at the moment, with some great products included in the sale. Rush over there now to avoid disappointment. Whenever people see my Filofax, the usual reaction I get is 'I had one of those' to which I always reply, 'Have you still got it?'. This normally sends them off in a bit of a tailspin and rooting through their desk to find their Filofax. While I'm drinking my coffee, they normally reappear brandishing their treasured Filofax, asking me which model it is. I smiled and asked politely if I could see it. Then she went off to rummage through her desk while I had a beer! What Denise then appeared with was a 1990s personal size Filofax. I've not identified it yet in terms of which model it is, but I was more interested in what this book was she'd written from the notes within her old Filofax. I looked through her pages and pages of notes; they told an interesting story in their own right. The Filofax looks like new, but it had travelled many kilometres in her bag over the years, just like a travel companion and a friend, always there when she needed to jot down some notes. During the writing of the book, Denise told me she frequently referred to the notes in her Filofax. When the book came back from the editors, Denise had her Filofax notes to hand to make sure the tales and her notes hadn't become distorted in the editing process. She explained the Filofax had become more than just a diary, but had built up into a precious reference book, neatly organised. If she'd lost it, she said she would have thrown herself off one of those Bavarian mountains. The book starts off in 1973 and travels through Denise's life to about 2005 and it is a very funny read. I've not had a chance to finish it yet, but I will do over the next few weeks. As a small 'plug', the book (from Bad to Wurst by Denise Barnes) is available on Amazon in UK, US and Germany in print and Kindle formats. There is also a website, which I'm in the process of updating for her! But as this is Tuesday you are free to ask any Filofax related questions you might have. So I think I've just about recovered from the walking and talking and eating and drinking yesterday! No sooner did I get off the train I was whisked off for a evening at a friends house, so yesterday's post was put together quite late last night!! 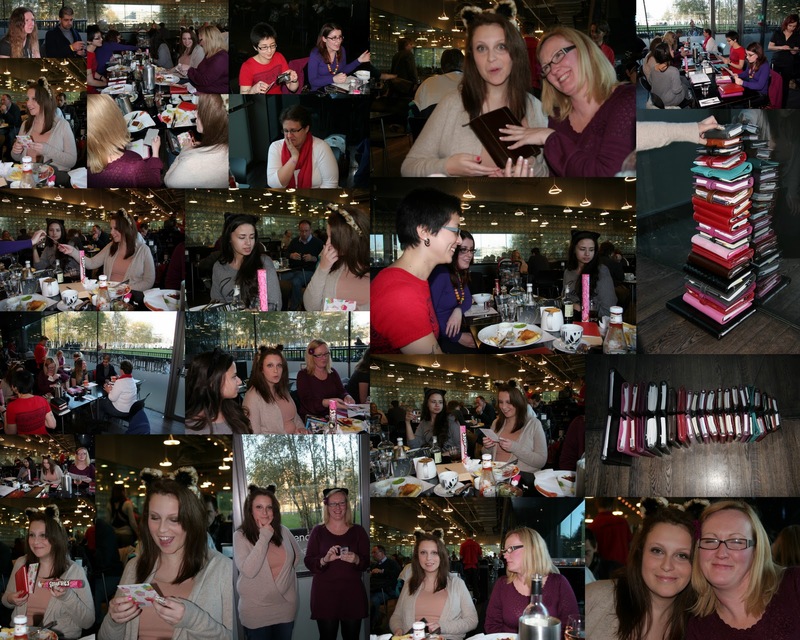 So here are a selection of photos from yesterday's meet up. Imy and some very pink Smarties! Thank you to Imy and Anita for the use of some of their photos as well. So today was the fourth Philofaxy Meet Up in London, exactly a year since the very first one, which to me seems ages ago in some ways, but in other ways it is still very clear in my head! Every meet up we have had has been slightly different from previous ones, different people, new people, returning people etc. That in a way makes everyone a success, new ideas, we get to see new things and meet new and interesting people and catch up with 'old' friends. As I've always said it's difficult to put in to words what it's exactly like to attend a Philofaxy meet-up, it's unlike anything I've previously experienced. Today, Anita sort of put her finger on it, in that it's like you have known the other people for what seems like a long time, and meeting them is just like putting the icing on the cake! So following our tried and tested formula we all met up at Tate Modern Art Gallery on the south bank of the River Thames, where we had lunch and discussed Filofax, life, the way of the world and anything else we wanted to discuss... within reason! However, it was a very relaxed lunch, which we stretched out to nearly 3 hours... very French! and then we had a walk to Neal Street, paced by Sharon, who makes sure we all get there in reasonable time and makes sure no one goes wandering off!! Then we had an hour or so in the Filofax store with 'Deelightful Dee' at the Filofax store in Neal Street, who as always made us all very welcome and answered all our Filofax questions quickly and accurately and went to great length to retrieve items from the store cupboards for people to fully assess and decide and in some cases purchase. It has to be said Dee is a very patient Sales Manager, top marks to her when faced with the barrage of questions and requests when our small group 'hit the store' in true Philofaxy style! Sadly like all good things in life they have to come to an end, and at about 5 pm we went our various ways to get to our stations to get home. But to be safe were required people went in pairs to make sure they got to their stations safely and in good time. The underground was packed as usual at this time of day and time of year. But we all got our trains in plenty of time and we all got home shattered, tired, but all with smiling faces. And the best question at the end of the day was.... when are we having the next one Steve? 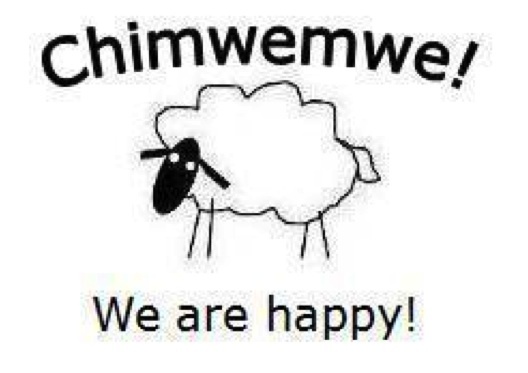 Now I like that question!!!! Hopefully sometime in 2012, although no date has been set as yet. So I would like to thank, Adam, Anja, Tracy, Imy, Christa, Kate, Tracy and Sharon for another great day. I hope you all enjoyed it as much as I did. So you might not able to come to the meet up today in London, so to make up for it, I hope you enjoy reading the following blog posts we have discovered this week. Looking around on the net today I noticed that Paperchase have a sale on at the moment on Filofax organisers. 20% off certain ones and free delivery on orders over £30. People are always reporting bargains in TK Max in UK but they don't seem to be on their website. So check out your nearest store for those. Also WH Smiths in UK still have their up to 50% off Filofax goods listed on their site. Now is the time of year when I start to use my Filofax for holiday planning. In the U.S., the next big holiday is Thanksgiving, which is next Thursday. I'm using my Filofax to plan cooking and shopping. I also like to list Christmas presents, given and received each year, so I don't duplicate myself! 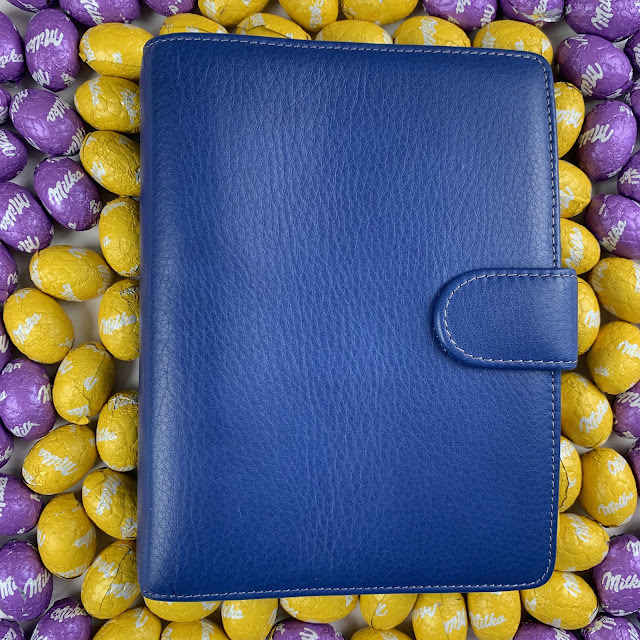 I don't decorate my Filofax much, but I imagine some of you dress yours up for whatever holidays you celebrate! 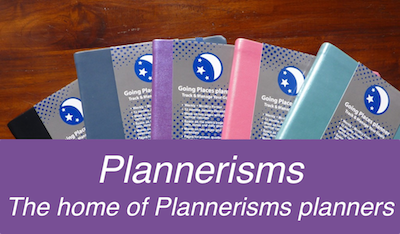 Feel free to talk about the holidays or whatever other Filofax topics are on your mind. Yes it's Sale time again folks... this time at the UK department store Debenhams. They have 20% off a range of quality Filofax Organisers. 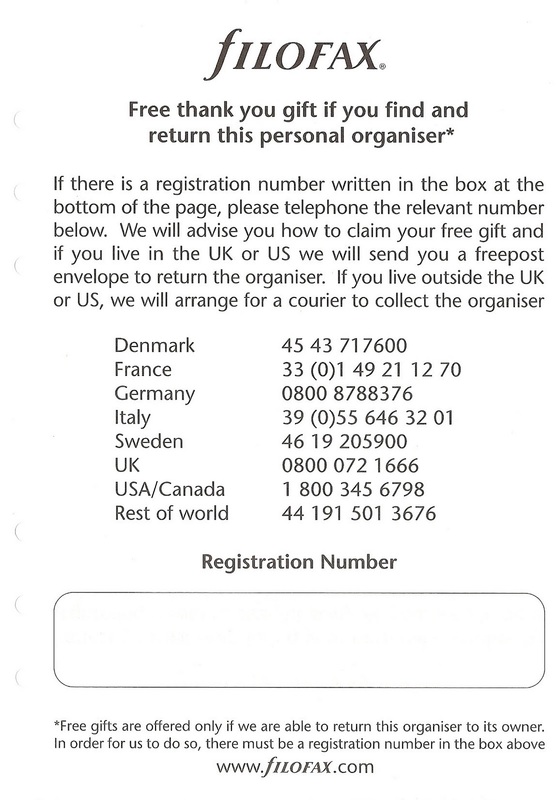 So let's see if you can clear their stock of these organisers !!! Also Rymans are offering Philofaxy readers a discount as well. Click on the link to Rymans and the code is NV5OFF50 and it gives Philofaxy customers £5 off orders over £50. The code is valid until 30th November. Purchases from Ryman using the above link will add to our charity donation total. Thank you for your support. I recently had to set up a new computer for my wife Alison. 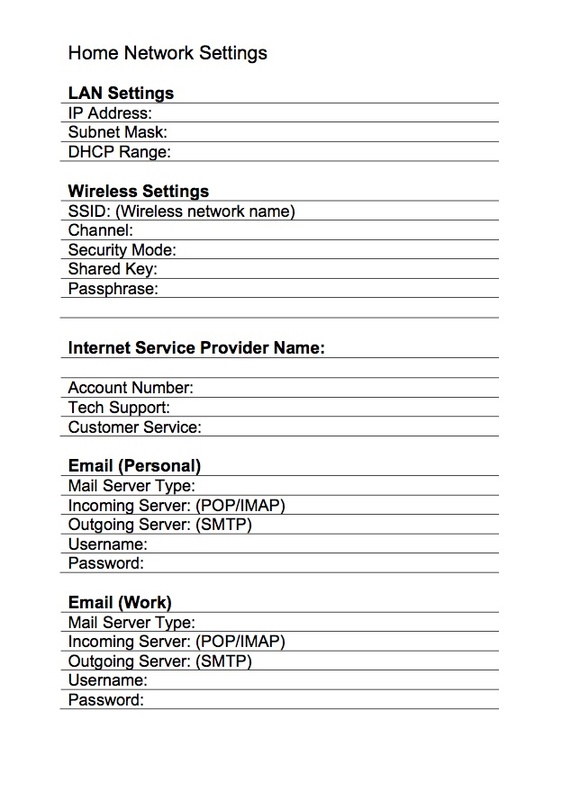 Whilst the set up of the iMac was fairly easy to do, I needed access to all the various usernames and passwords to set up email accounts and log-ins for our main websites and blogs. Unfortunately her old PC had died a few weeks before, we had back ups of all the data files, but all the email address details etc were on bits of paper and in my head! 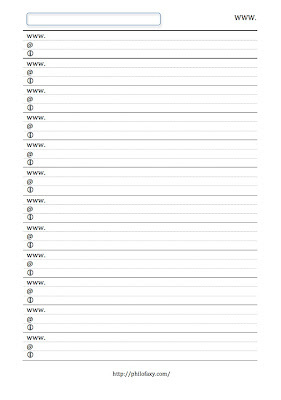 So I decided to solve this problem with some pages in my A5 Filofax, and below are the results of a mornings work. Whilst you might not understand all the terminology, don't worry about that because if you are giving these details to a technician or servicing person, they will be very pleased with the level of detail you have recorded on these sheets and it will be quicker for them to set up your new machine or to fix a problem. 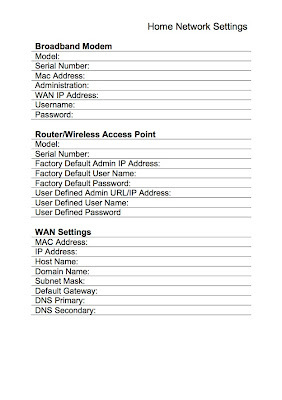 Or ask them to fill in the details for you, so you have a separate record of the settings. 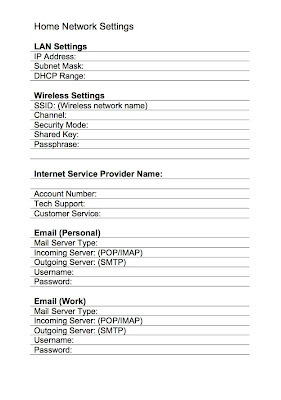 I also have a sheet for recording log-ins for various websites... and remember to change your passwords every so often and to use a mix of characters. One of our readers 'SNARLing' wrote in asking who else uses their Filofax as a combine Filofax and Sketchbook? I think this is quite a nice idea if you are a creative sort of person. You could choose some suitable paper, or an artists pad that would tuck in to the notepad slot in the back of some Filofax organisers eg Malden, Apex, A5 Finsbury etc and if you had an hour to kill in your day and you suddenly came upon a sketch worthy scene you could sit down and get creative. To me this is similar in a way my mantra of 'always carry a camera' even if it's just a point and shoot camera. 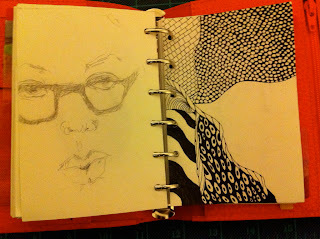 You can see more of SNARLing Filofax doodles on her Flickr Page. So today I will be travelling back to UK for about 10 days. But that shouldn't stop you from asking any Filofax related questions. And before you all ask... no I don't know when Filofax are going to have another of their 90 year sales in UK or the US.!! You might remember a certain sale by Filofax Germany a couple of months ago that caused a slight stir... well with thanks to Filomaniac for pointing it out, Filofax Sweden have got a similar sale on at the moment. And this marvellous sale is..... here... whoosh and you all dashed off to look! A heart stopping moment for anyone wouldn't you agree? But it's a statement I've seen very often on Twitter. 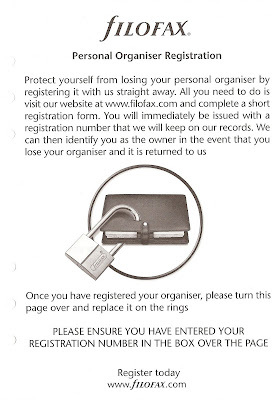 However, Filofax offer a simple personal organiser registration scheme, you register your name and address and contact details on their website. 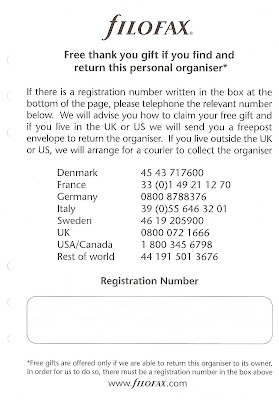 Then you are given a unique number, you write this number on the form in the diary insert (see below) and if found the person rings one of the numbers on the form and they are given details about where to send the organiser and they get sent a Freepost envelope. In return they receive a free gift. Free For All Tueday No 39.